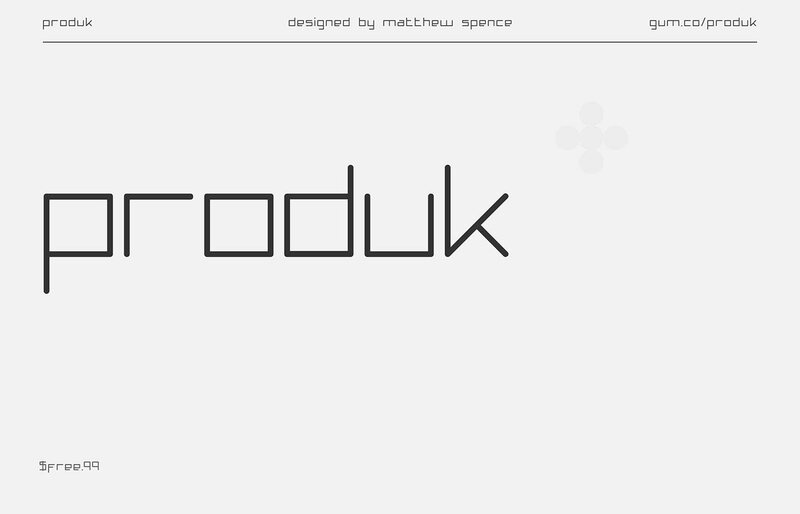 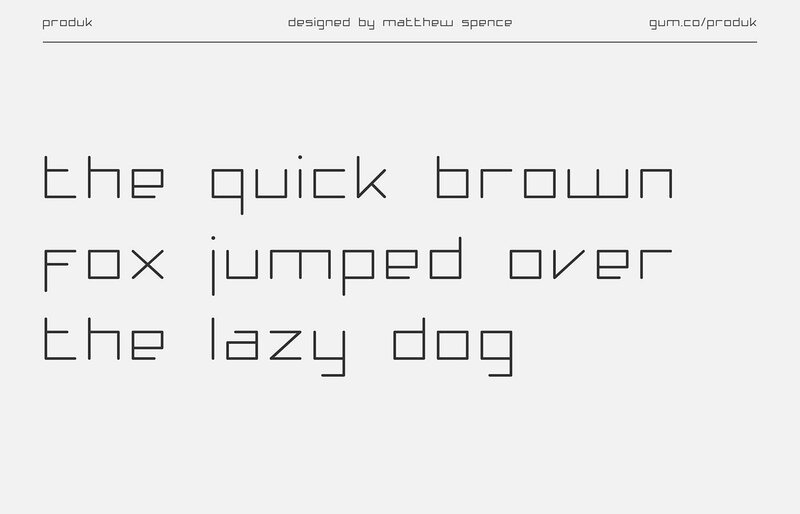 Produk is a typeface inspired by electronic music and science fiction. 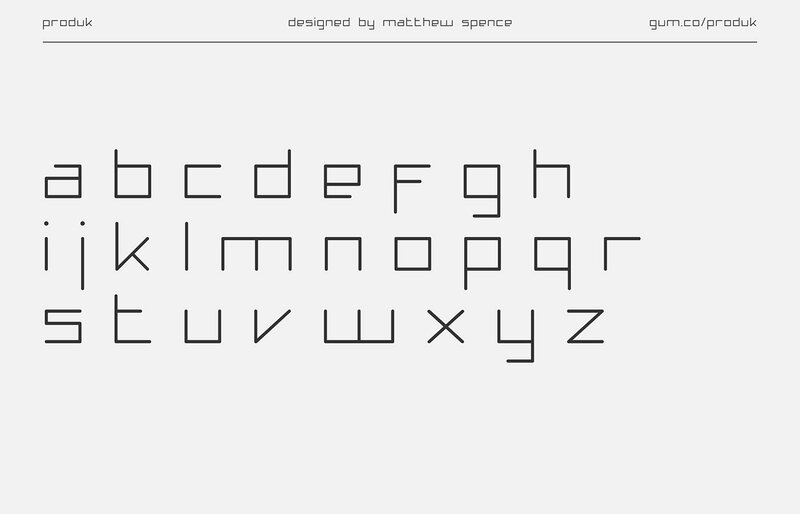 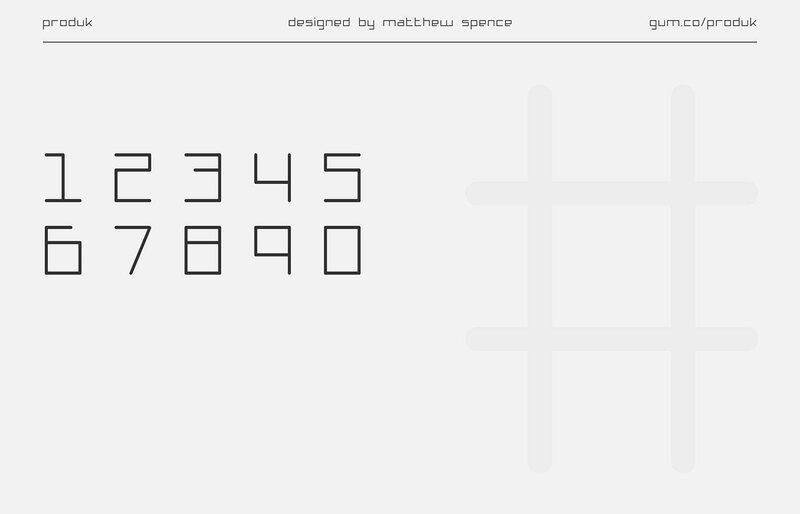 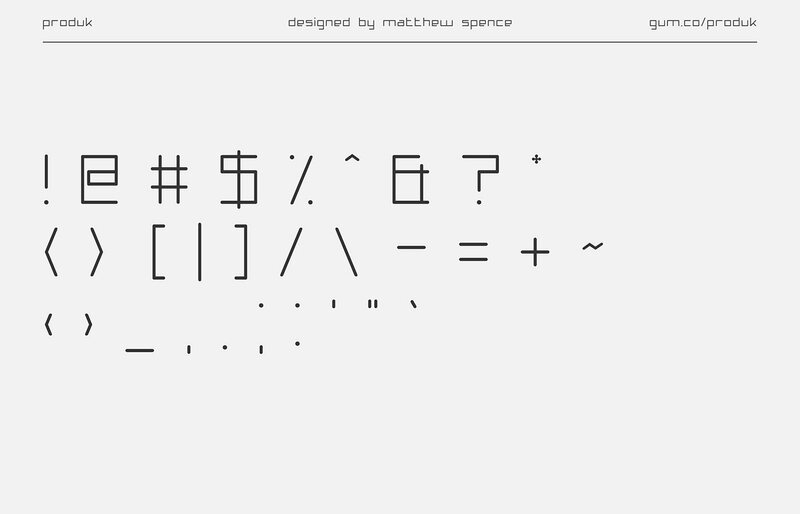 This font contains 103 characters including lowercase, numbers, punctuation, and symbols. 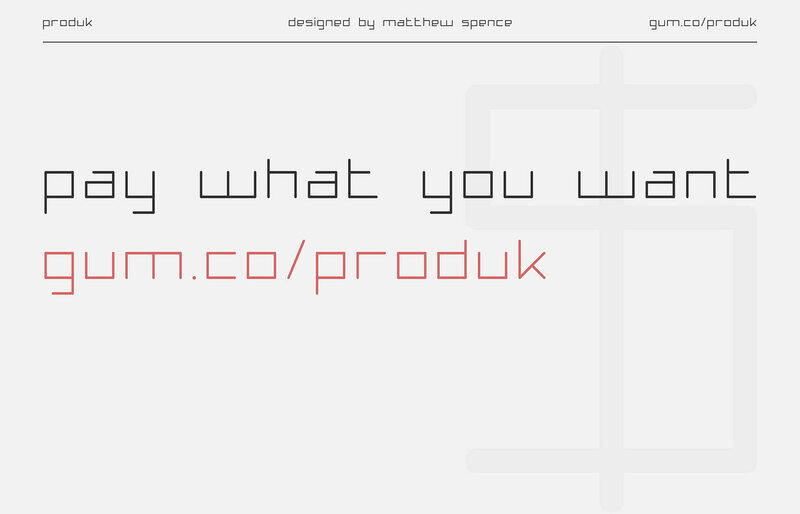 Download for free or pay what you want!